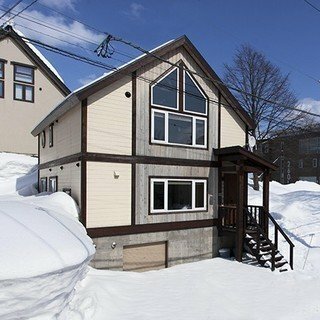 Guests of MUSE benefit from a morning shuttle service to the Hirafu Gondola and Ace Quad #2 - Centre 4 and an enviable location with restaurants, bars and retail stores all within a 5 minute stroll. 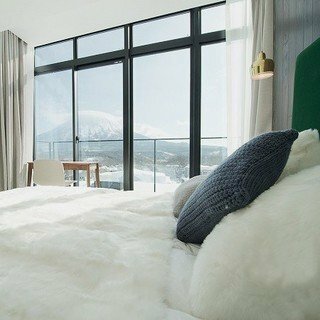 These units are styled to befit an alpine chalet in Japan, the interior utilises an abundance of natural materials, with soft earth tones and rich character while providing all the modern utilities necessary for a convienient and comfortable stay. Picture yourself waking up in one of MUSE's stylish apartments or studios, heading downstairs to the ski and boot room with your own personal locker. The friendly shuttle service drivers park out the front of the building and help you load up your skis/snowboards before dropping you off at the lift of your preference. After a day of chasing powder or racing down groomed runs, catch the free village shuttle bus which drops you practically at the front door of MUSE. Relax in the spacious living/dining area, get cosy by the fireplace and recharge in front of Apple TV. Later on have a wander through the village and have dinner in one of the many fantastic restaurants within a 5 minute walk of MUSE.